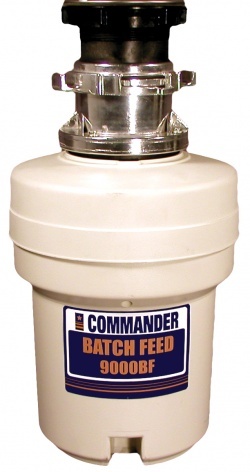 The Commander 9000BF Batch Feed is now discontinued. Suggested replacement is the WasteMaid Elite 1985BF. The Commander 9000BF is now discontinued. The Commander 9000BF is now discontinued. Suggested replacement is the WasteMaid Elite 2085BF.